The Star Wars universe is expanding in a big, big way. In addition to the Episode films like Star Wars: The Force Awakens, we’re getting a series of standalone Anthology movies, starting with Gareth Edwards’ Star Wars: Rogue One. 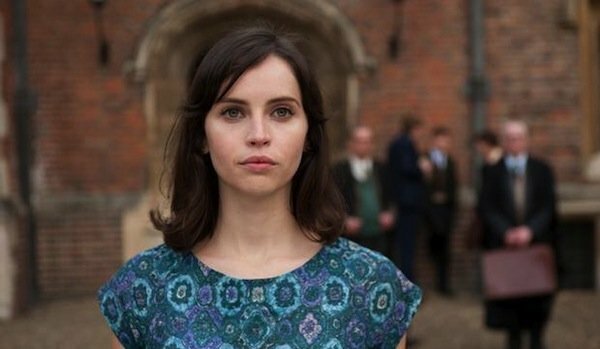 Production on that chapter in the history of that far, far away galaxy is getting ready to commence, and we don’t know much except that Felicity Jones is going to be the female lead. A new report, however, may have some details about her character. There are big potential spoilers beyond this point, you’ve been warned. Also, this is a very soft rumor, so make of it what you will. On today’s episode of Meet the Movie Press, Heroic Hollywood scooper Umberto Gonzalez was the guest and dropped what could be a huge bit of news about Jones’ role. You should always take this type of thing with a grain of salt anyway, but to put it in context, though he claims it comes from a "very trusted source," Gonzalez himself is not running this on his site just yet. 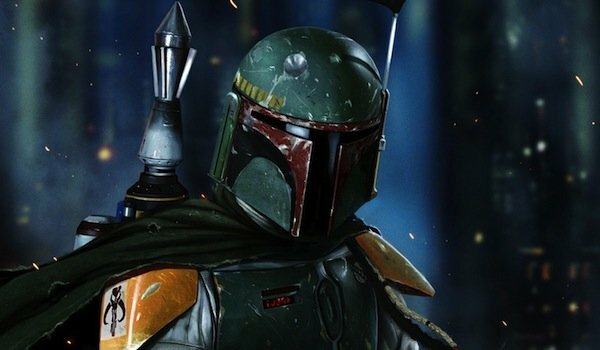 That said, according to his source, Felicity Jones is playing the daughter of notorious bounty hunter Boba Fett. If this turns out to be true, and that’s a big, huge if, this is a crazy turn of events. It also remains to be seen how, as the daughter of the galaxy’s most vicious bounty hunter, she fits into Rogue One. We know this has been called a heist movie and the plot reportedly revolves around the theft of the plans for the first Death Star. One rumor indicates that Darth Vader dispatches a group of bounty hunters, including Boba Fett, to retrieve them after they go missing. We’ve heard Jones’ character described as dressed like a Rebel soldier, and if that’s true, perhaps father and daughter are on the opposite sides of the conflict between the Rebel Alliance and the Empire. I can’t imagine Boba Fett is a fantastic father, so it’s easy to envision a scenario where, while he sells his services to the highest bigger, having no allegiances, she might devote herself fully to a cause, like the battle against the Empire. This is far from the only rumor we’ve heard about Jones and her role in Rogue One. As Mark Reilly, the host of Meet the Movie Press, points out, there were rumblings that she might play a live-action version of Hera Syndulla, a Twi’lek rebel who pilots the ship named the Ghost in the animated Star Wars Rebels. That series is official canon, and as the time periods between that and Rogue One are similar, many have wondered about such a potential crossover. But if Gonzalez’ intel is accurate, this brings up an interesting scenario. Reilly refers to the "nagging Boba Fett thing." That name comes up a lot in regards to the Anthology films. It’s been rumored he could get his own solo movie, as well as one that involves both him and a young Han Solo. In a general sense, we know the narrative of the Episode movies flows and who they follow, but we kind of presumed that these standalone movies were all kind of their own things, that they would all be separate. But if this rumor about Jones being his daughter is true, and all this talk of Boba Fett’s presence pans out, it’s possible he could provide a connective thread that runs through the Anthology films. This is all conjecture, but with all of this persistent talk of Boba Fett, it’s a question that may be worth asking. As with everything Star Wars, we likely won’t know anything for sure until Rogue One opens on December 16, 2016, but now we have some new possibilities to mull over in the interim.